Videocon, the top most electronic company of India has recently declared to release its new stylish mobile phone, Videocon V1805 with Dual Sim technology (GSM -GSM). This Videocon new mobile phone will be equipped with the latest advanced features. The V1805 can be a good mobile phone for you, if you are searching a high digital camera phone at low price. The specialty of this mobile handset is its 8 mega pixel camera with flash, automatic face detection, panaromic view and smile shutter. This makes the phone a powerful camera centric handset. Such type of high mega pixels camera handsets are in market with high costs but Videocon has launched this phone at very affordable price which is expected to be Indian Rs. 7000. The display screen is very broad with high digital zooming feature which can capture high definition pictures and video recording at high resolution. The phone support wide shot of 270 degree. The Videocon Company manufactures its every product with different designs and colors which makes its products unique and stands alone. The new Videocon V1805 is available in two colors mixture - Black and Red, which makes the phone, look very stylish and impressive. 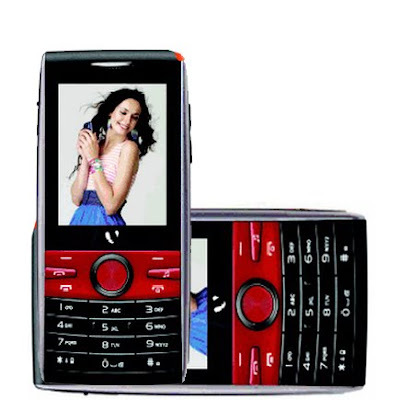 Videocon is famous for producing budget mobile phones with impressive looks and features. When it comes to entertainment, the efficient Videocon V1805 ensures high sound and video playback quality. The handset is equipped with features such as MP3 music player, MP4 video playback and FM radio that make the handset high end entertainment gadget. The 3.5 mm audio jack promises high sound quality. For storing data, this phone has high storage capacity which can be expandable with Micro SD card slot. The phone has USB connectivity feature that enables data transfer from computer. The phone has Bluetooth feature that allows data transfer with other Bluetooth enabled devices. The phone has JAVA support with various inbuilt games and applications. 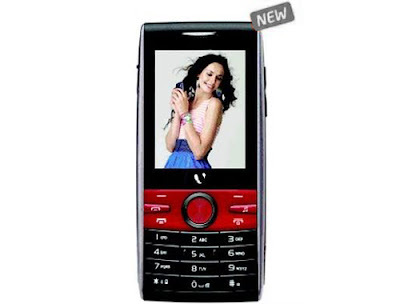 The Videocon V1805 has the capabilities of full message support of SMS, MMS and Email. The V1805 model works with GSM-900/1800 Mega hertz + GSM-900/1800 Mega hertz frequency. You are choosing the perfect phone if you want to be always connected. The phone connectivity is based on GPRS and EDGE technology and the WAP browser allows you to surf and access internet, download stuff, watch videos, listen music, and play games online anytime and where ever you go. The Videocon product V1805 makes the social networking easy because Face book & YouTube is already inbuilt. The battery backup of the phone is good.